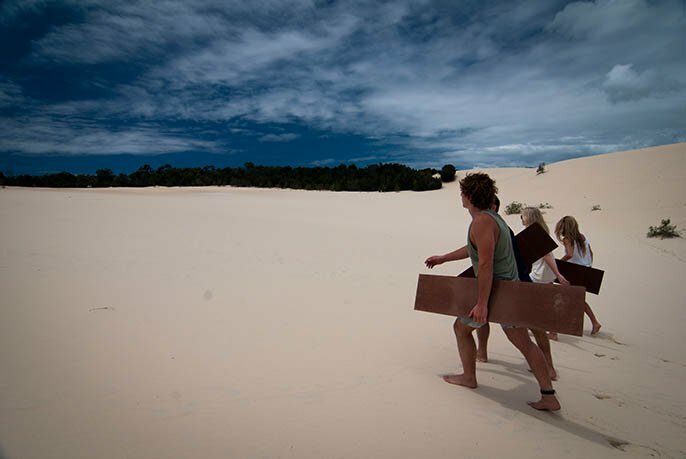 Sandboarding on Moreton Island – Get sand in ya dacks! 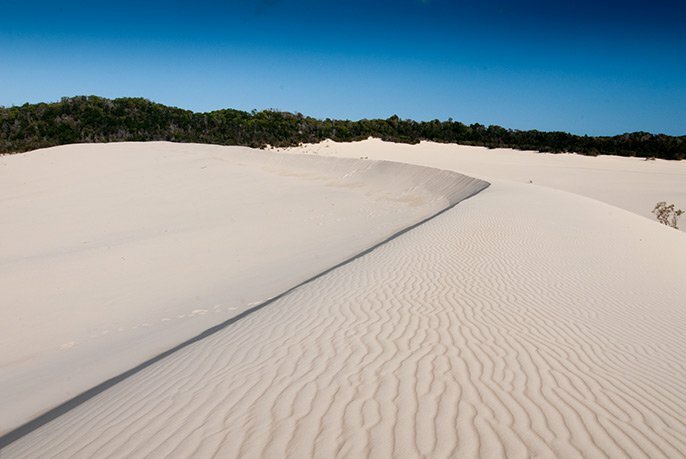 Brisbane’s closest sandboarding experience – climbing the world’s tallest coastal sand dune and reaching speeds of up to 60km/h! 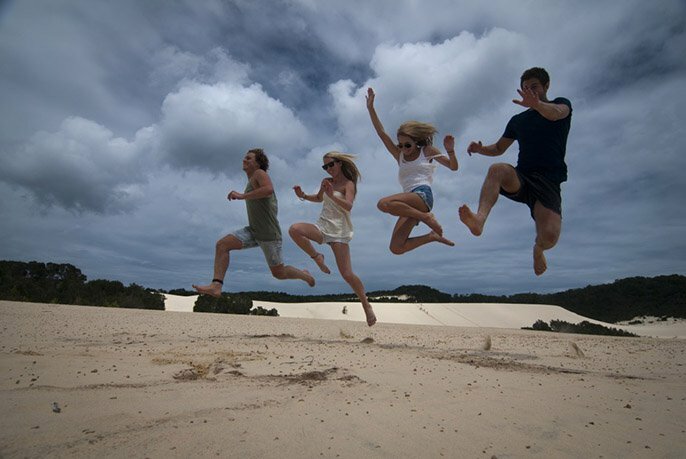 Wax up your sandboard on Moreton Island and feel the rush as you hit speeds of up to 60km/h sliding, carving and tumbling your way back down – the higher you go up the faster you come down! 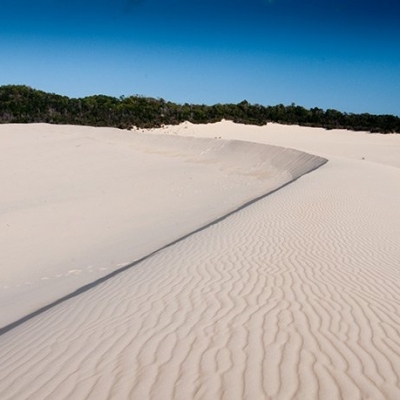 Get ready to burn some serious calories as you climb back up our amazing sandhills! You might have been dumped before but we guarantee you’ve never had this much sand lodged in ya dacks until now! 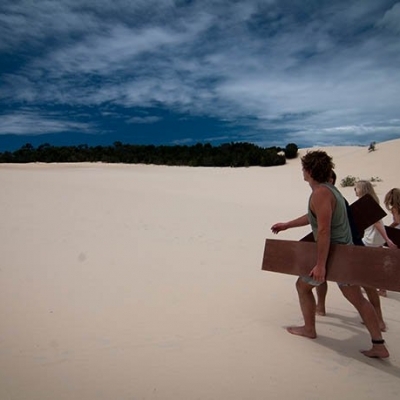 Try the desert for some serious sand boarding fun and action. The only place to go sandboading in Brisbane! 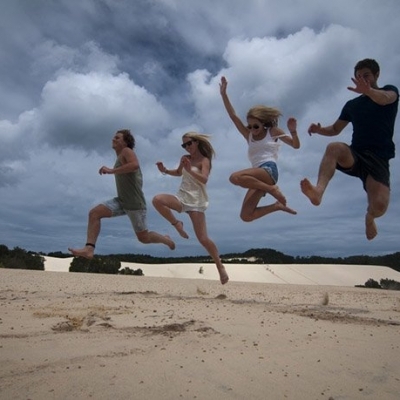 To find out more about day tours to Moreton Island or to book a tour, please call 1300 553 606 or visit Sunset Safaris!